Smiling New Paint Booth Specialist: Welcome Julie! Standard Tools and Equipment is proud to welcome Julie Surprenant to our sales & customer care team as a paint booth specialist! Originally from Rhode Island, Julie moved to North Carolina 10 years ago. Julie brings with her 18 years of marketing experience and a yellow belt in Six Sigma training. She is working toward getting a BA in PR/Marketing from Ashford University. In her spare time, Julie is a mom to a Cole, who is starting Kindergarten this year. She is Red Sox fan as well as the local Greensboro team, the Grasshoppers! She spends a lot of her time in the community. She’s the Director of T-ball and Blastball in Stokesdale, NC and a volunteer with HorsePower in Colfax, helping kids and adults with disabilities ride horses. 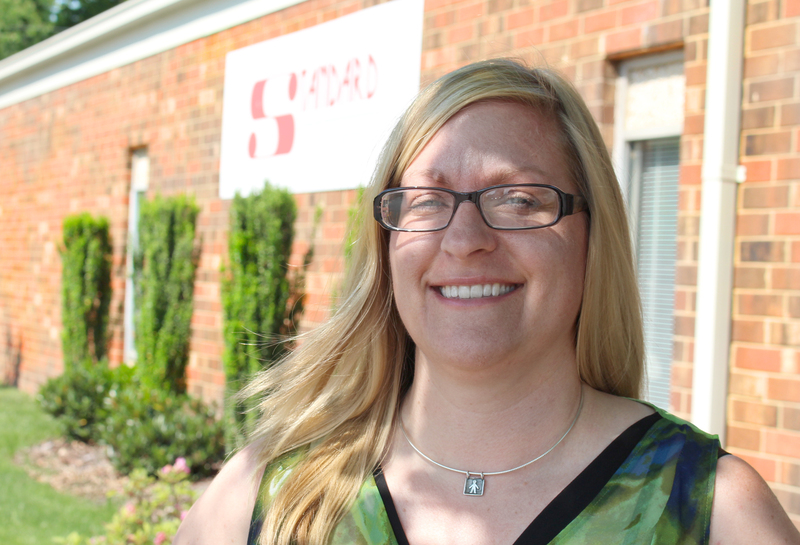 We’re excited to have Julie here at Standard Tools and Equipment! We look forward to journey. Next Next post: Powder coating offers brilliant white booths!